Want to be the center of attention at your next party, show off your cooking skills with everything right at your fingertips or create another gathering place outside? 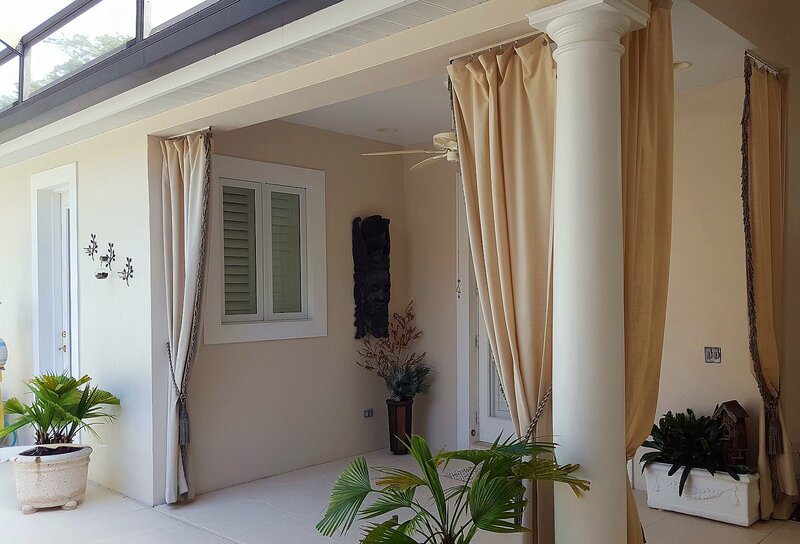 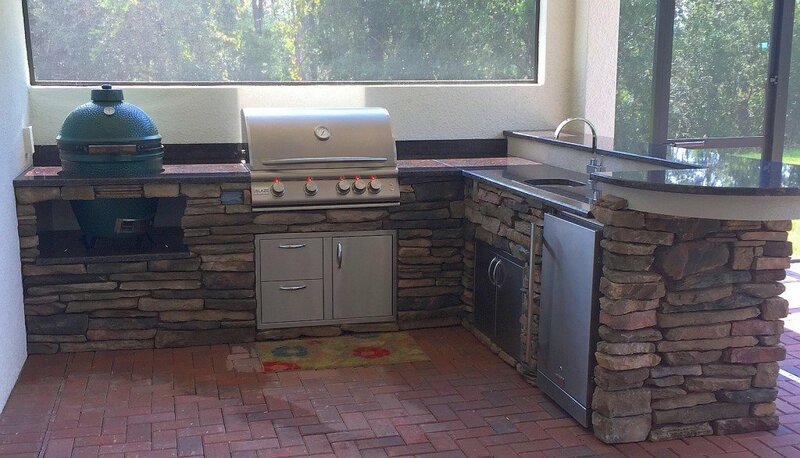 Backyards n More features custom designed outdoor kitchens that fit your dreams and budget. 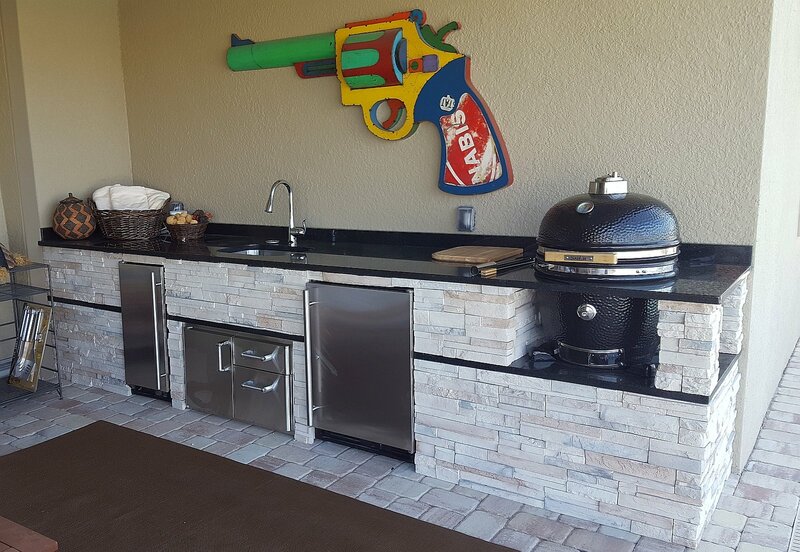 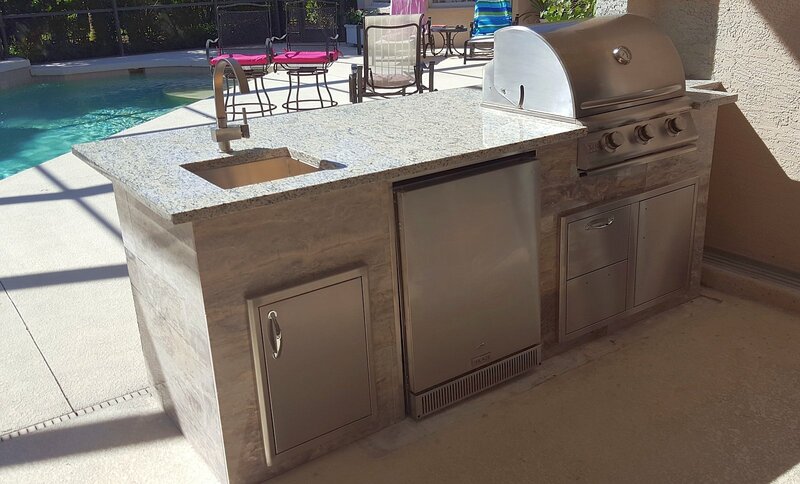 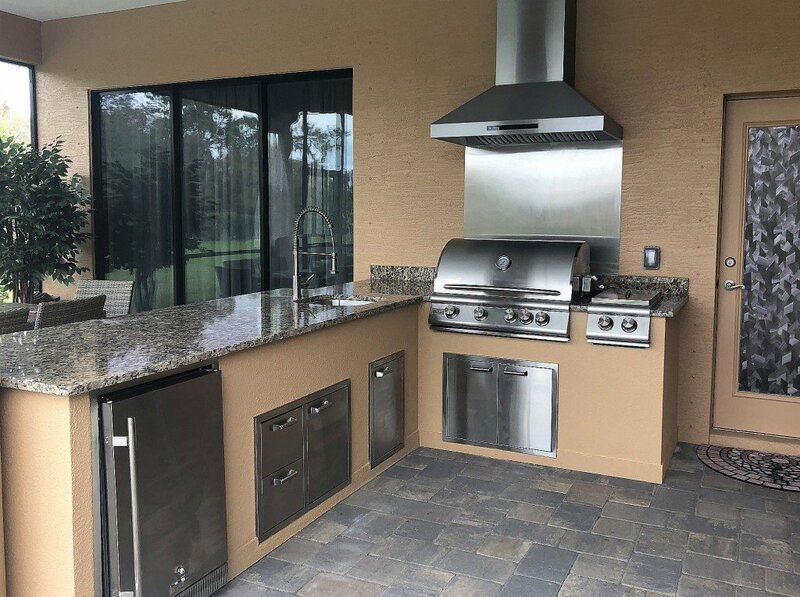 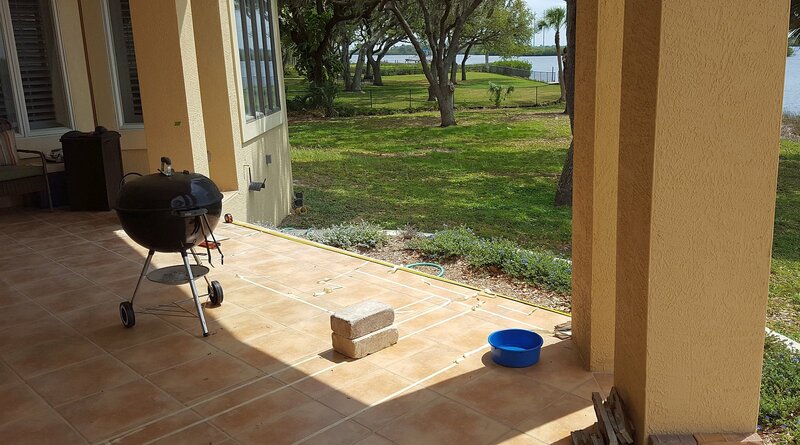 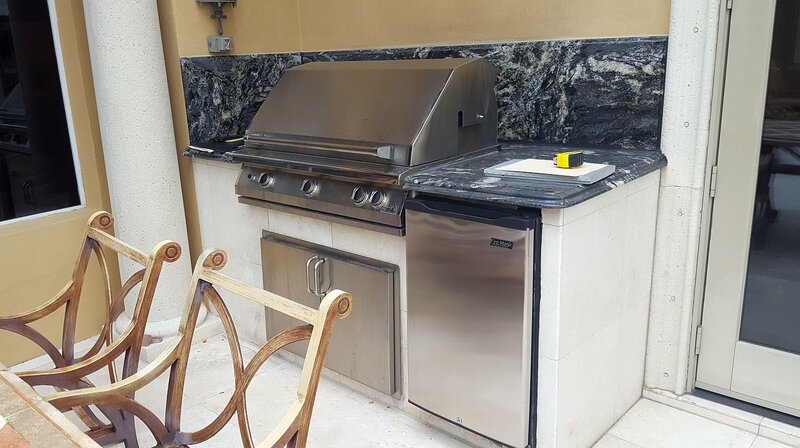 We will assist you with selecting the kitchen components for your new custom outdoor kitchen that are designed around your cooking style not someone else’s. 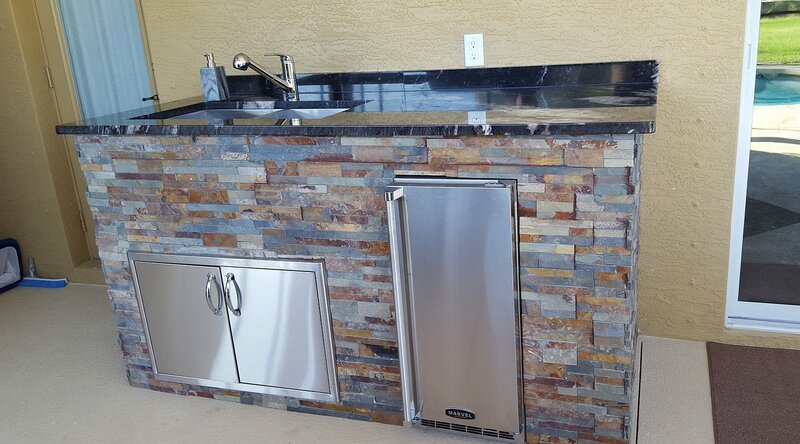 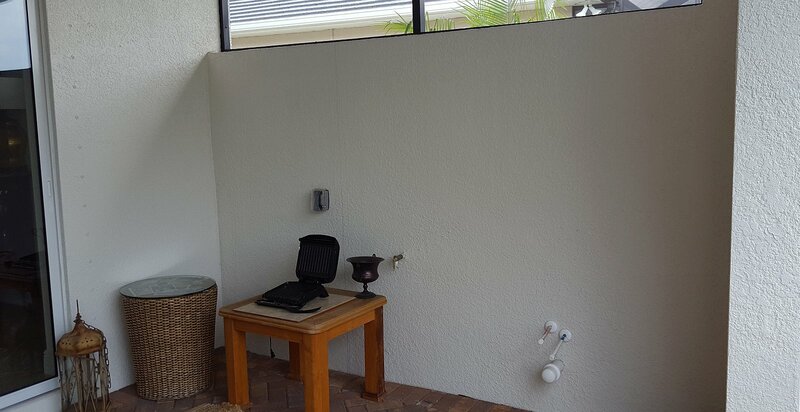 We will utilize stained concrete, granite or tile countertops that can be decorated with beautiful cuttlery. 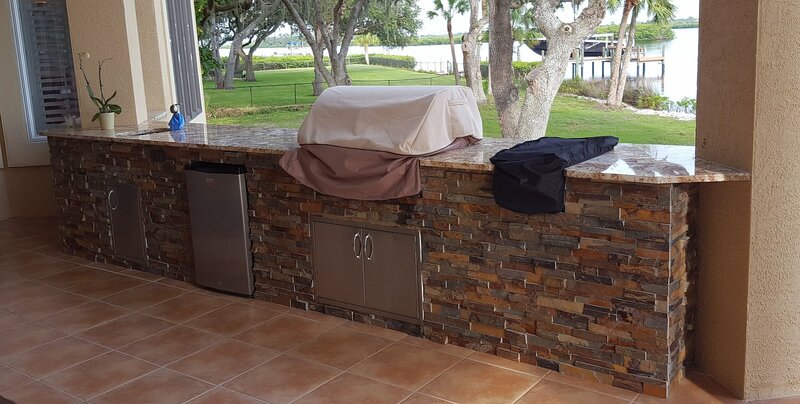 Then wrap this in a polymer, ledgestone or stucco cabinet, cover it in a “bus stop”, cantilevered roof or cedar pergalo for your entertaining pleasure. 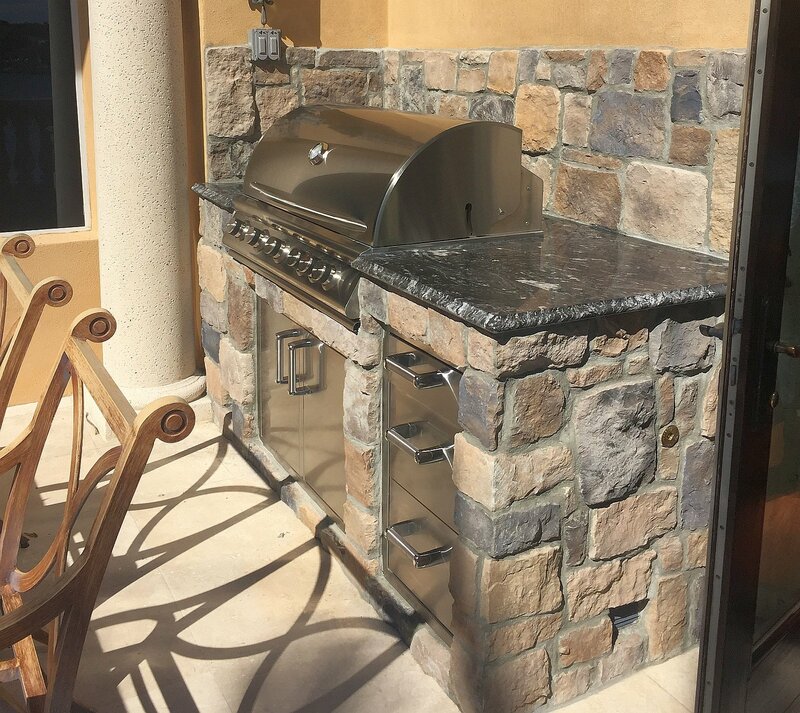 Fire Magic Grills feature cast stainless steel “E” burners. 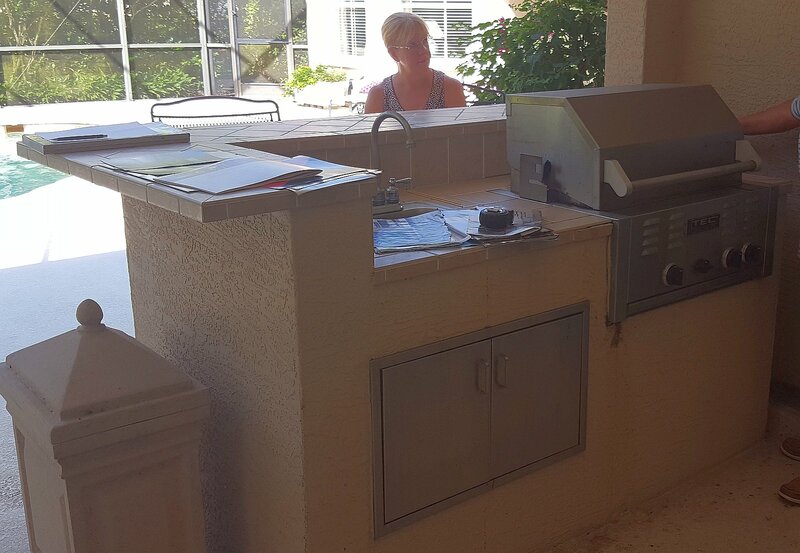 The cooking surface reaches 1,000 degrees and down to 200 degrees! 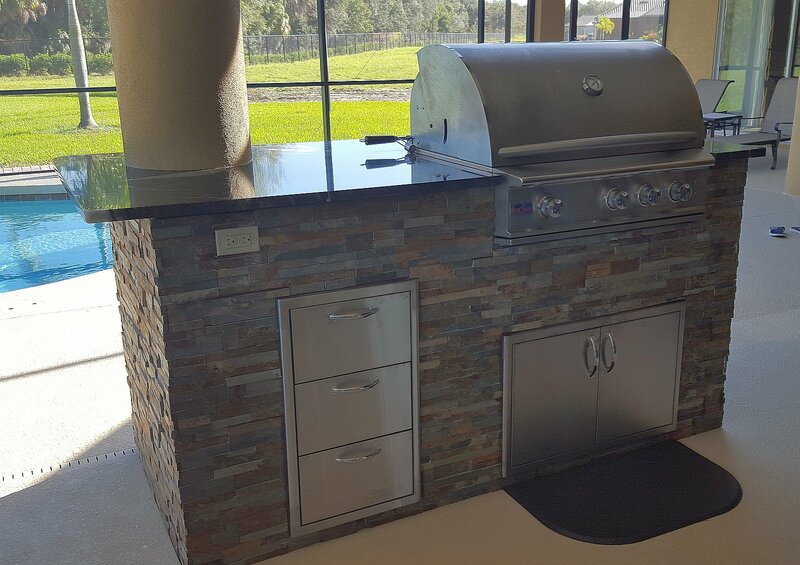 the infrared buner (optional) reaches temperatures exceeding 1,600 degrees for uniform and fast searing. 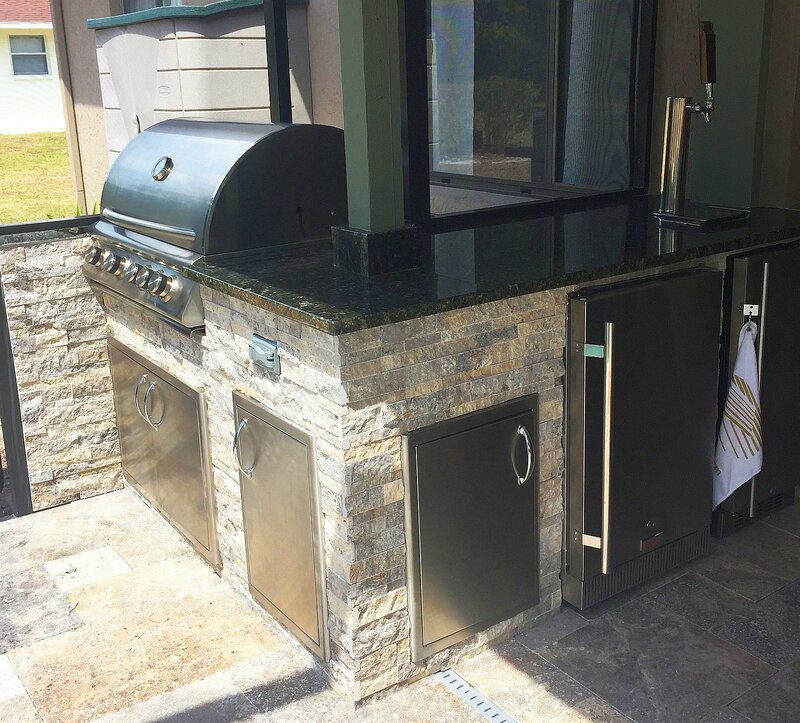 These temperatures are achieved with the burners deep in the firebox. (Competition has to put their burners close under the grilling surface. 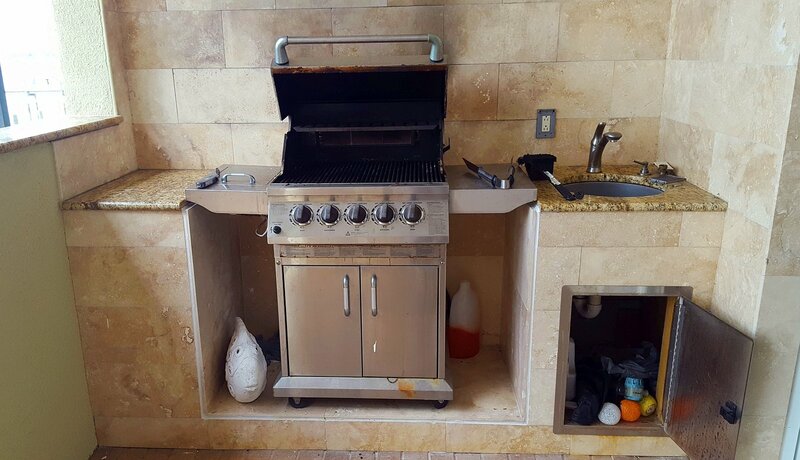 Can you say flare ups!? 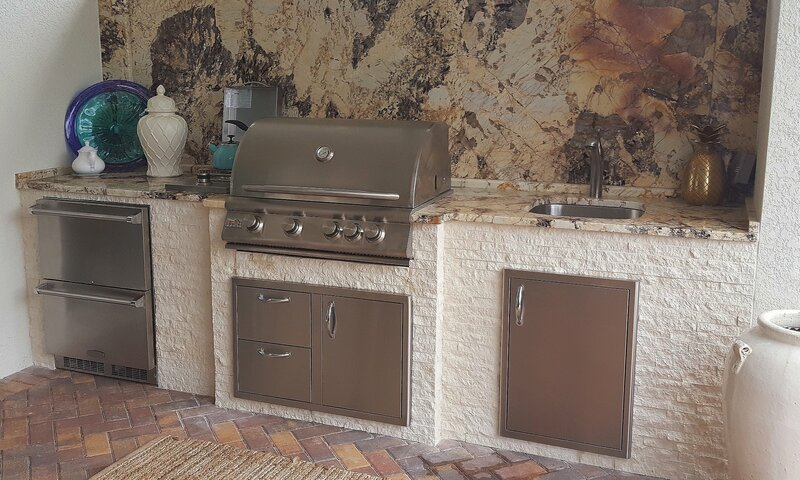 RH Peterson represents over half a century of American manufacturing superb hearth and Outdoor Kitchen products. 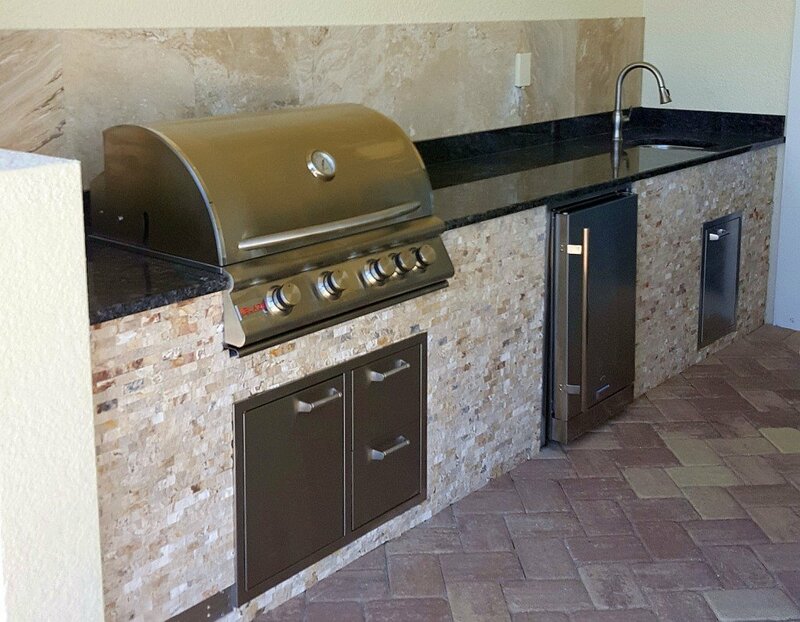 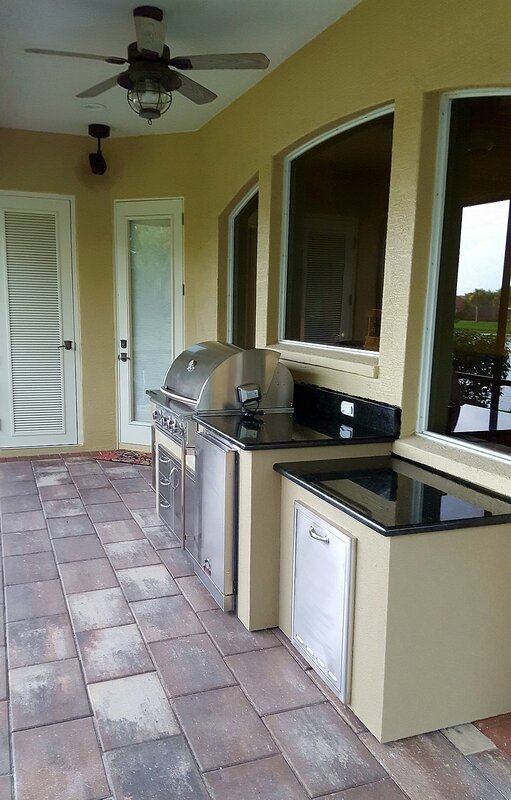 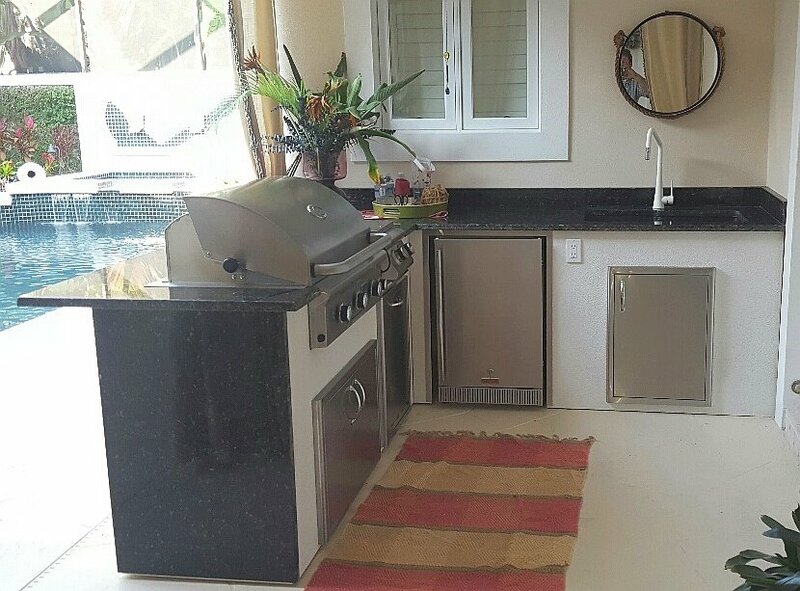 Summerset™ Professional Grills offers a complete line of stainless steel gas grills, grill carts, BBQ island doors, drawers and components. 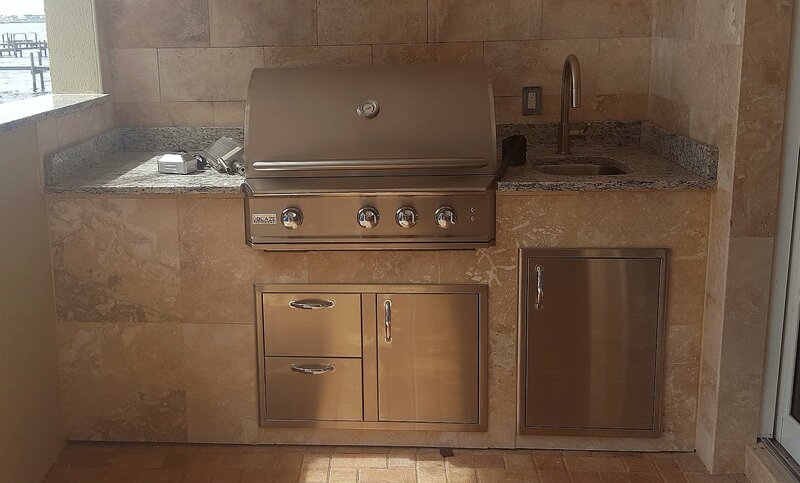 Their commitment to quality is reflected in the craftsmanship of the stainless steel BBQ grills and accessories. 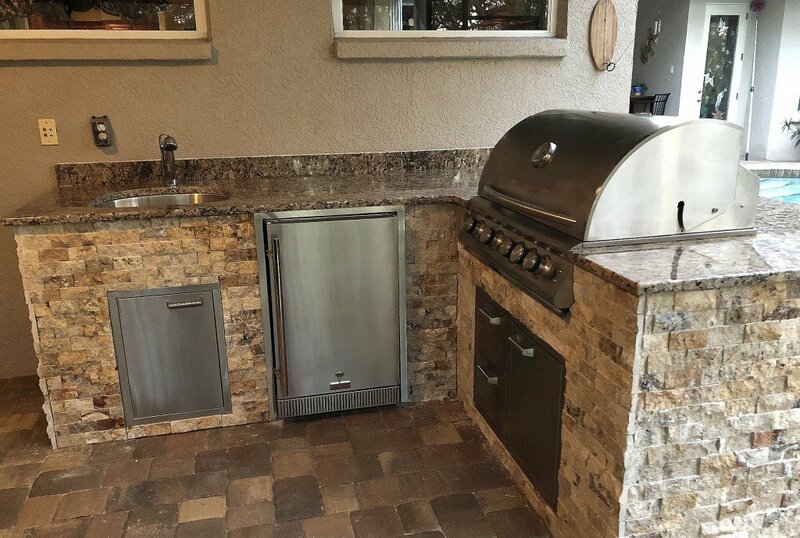 Backyards n More recommends the following countertops because of the durability: granite, decorative concrete and tile. 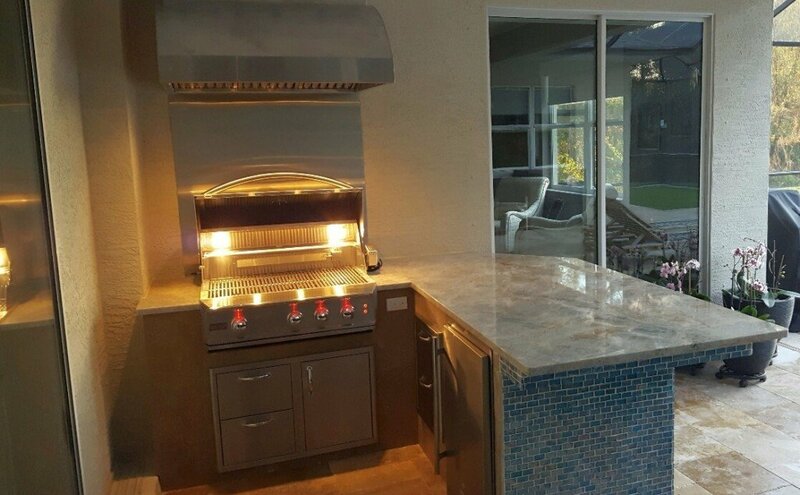 Enjoy our gallery of ideas for your next Countertops and Components project.